A mosaic is an item which surface is created from small glass- or gemstones fitted together to form an image or pattern. The technique is believed to come form ancient Greece and spread from there over the Roman and Persian empires. Especially in the 19th century, this art became popular as jewelry decoration and one can divide them roughly into two categories. 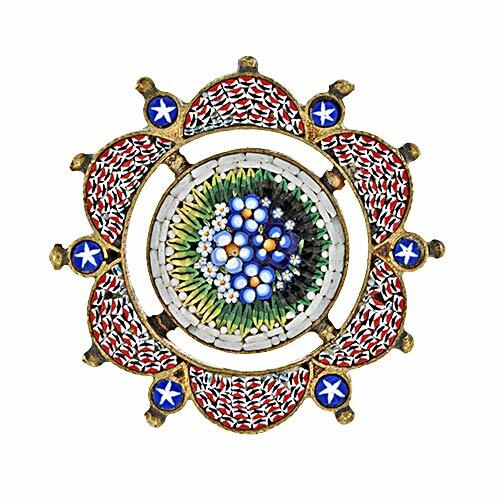 The micro-mosaics from Rome – made from small glass tiles named tesserae – and the Florentine pietra dura, made from calibrated gemstones.